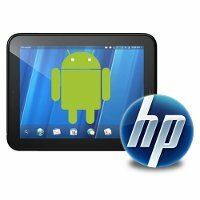 Readwrite.com says that HP might soon release an Android device with NVIDIA Tegra 4 chip. The say that HP might launch an Android device. The tablet has been in the works since before Thanksgiving and sources say it could be one of the first tablets to ship with the Tegra 4. NVIDIA’s latest mobile chip was just announced during the Consumer Electronics Show (CES) in January and it features some impressive specs, but we have not seen many devices adopt it yet. Sources also say that HP is currently exploring the launch of an Android-powered smartphone, but recent comments from CEO Meg Whitman indicate HP will not offer a mobile phone this year.